Both Ulta and Sephora are exceptional retailers. Roughly equivalent in footprint—1,174 Ulta stores and about 1,100 free-standing Sephora stores and J.C. Penney shop-in-shops—both retailers did extremely well last year. Ulta Beauty just announced sales were up 14.1% in 2018 reaching $6.7 billion. And while LVMH doesn’t break out Sephora from within its Selective Retailing group, it highlighted Sephora’s sales growth as contributing to its 10% corporate growth in 2018. 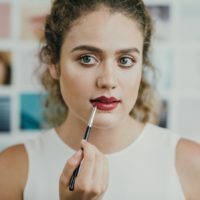 See also: Luxury Beauty: Does the ‘Lipstick Effect’ Still Hold Today?